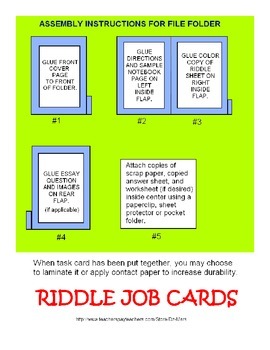 This fun printable color center / task card is a self-correcting riddle sheet. 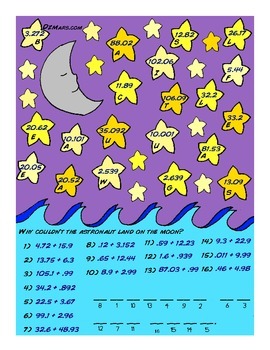 Includes a fun color graphic and a sheet showing students how to set up notebook paper for an answer sheet to be turned in to teacher. 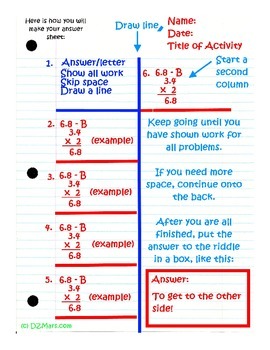 Requires students to show all work, and, as the answers are matching, care was used to make sure there was more than one "obvious" choice for each question. Great for a sub or for kids who finish first. 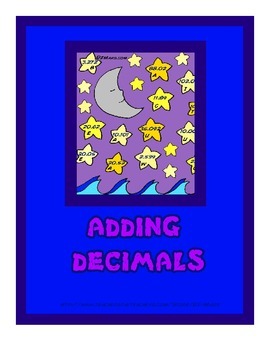 Matches with 5th grade Common Core standards requiring students to add decimals fluently to the hundredths place.